When you’re planning a home remodel, it’s easy to get swept up in choosing new floors, paint colors and which white subway tile is just right. But there are plenty of easy home updates you could add to your project that will make a big difference to your quality of life. To kick your remodel up a notch, dive into our list of must-have home upgrades that will put the perfect finishing touches on your renovation. If you aren’t a fan of seeing wires everywhere when charging your cell phone, electric toothbrush and other gadgets, consider moving some of your power outlets into storage spaces. Placing outlets in closets--especially handy for cordless vacuum cleaners--or in the bathroom vanity will give a polished look to the finished room. A remodel is also the perfect time to add additional outlets to rooms that are overrun with extension cords simply because there aren’t enough to go around. Let a professional handle this project unless you have electrical experience. Even if you have to hire a pro, this is a relatively inexpensive upgrade that will pay off big by adding value to your home. 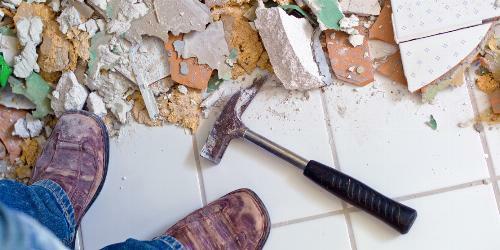 A remodel is the perfect time to start automating your home. From smart locks to smart crock pots, connecting your home to the “internet of things” can save you time, effort and worry every day. Start your journey to Jetson-hood by thinking about the daily tasks that most annoy you or that you’re most likely to forget. Always forget to close the bedroom windows before you leave for work? Hate having to go out every morning and turn the sprinklers on? Whatever your pain points, chances are there’s a device to simplify them. Not every wall in the house needs this, but soundproofing your laundry room and other noisy spaces will ensure you get plenty of peace and quiet at the end of a busy day. If you’re a light sleeper, sound-proofing your bedroom would also go a long way to making your house homier. Seal air leaks around windows and exterior doors using rubber weather stripping. This will help lower your energy costs, too! Add door sweeps and/or draft blockers to interior doors. Install acoustic panels on walls or doors that transmit noise. Hang soundproofing curtains on windows. Add window inserts to windows that transmit a lot of noise. Lay rugs, with thick rug pads underneath, over hard floors in noisy rooms. If it suits your style, hang rugs on the walls of noisy rooms. There’s a good chance that whoever built your house used insulation with the lowest R-value code requirements allow. This means your HVAC system has to work harder than necessary to keep your home at a comfortable temperature. 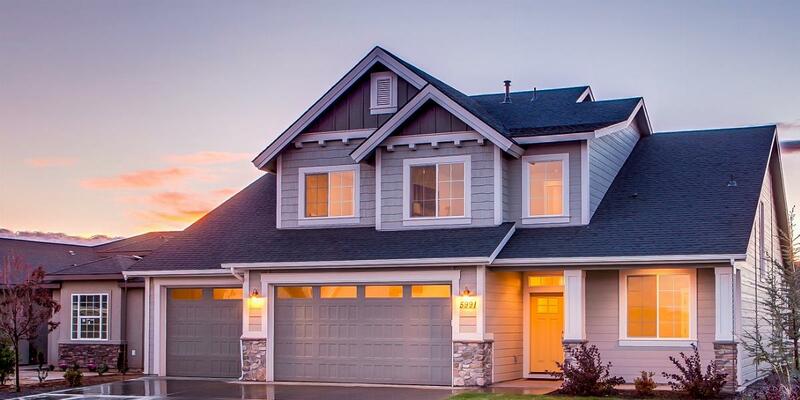 So, this is a home upgrade that will pay off quickly in energy savings. Be aware that if you’re not already tearing into drywall as part of your remodel, this is a project you might want to hold off on. These are especially useful for your front entrance, but why stop there? This is a helpful DIY home upgrade for any area where you often have your hands full, like the attic or kitchen pantry. You’ll see a big difference in how safely and efficiently you can get your household chores done. When you are doing a complete home remodel, make sure that you don’t forget to upgrade or add new house numbers. Standalone numbers are simple to install, while an address block underneath an outdoor light can give a more modern, upscale look. This is an extremely simple addition to a remodel but can make a huge difference to your home’s curb appeal—which will come in handy if you ever decide to sell your home. Don’t settle for staring at your bottle of Dawn on the counter. A built-in dispenser for dish soap is a must-have upgrade for any kitchen remodel. Simply choose a sink from your favorite brand that includes this feature. Convenient and discreet. If you can’t find a built-in version that you like (or that suits your budget), you can get the same upscale look by choosing a free-standing or wall-mounted soap dispenser that matches your kitchen style. Your room looks amazing now that the walls have a new coat of paint. But don’t forget to look up. Give your ceiling its own fresh coat of paint during your remodel so it looks as refreshed as the rest of the room. If you’re dealing with an outdated popcorn ceiling, now is the time to take the plunge and remove it. Getting rid of a popcorn ceiling is a relatively simple (although messy!) DIY project. Just be aware that if your home was built before 1980, you should have your ceiling tested for asbestos before removing it. It’s not just for your walls. If you have windows that you want to make the focal point of a room, add crown molding to them. The same goes for French doors that you want to accent. This easy and relatively inexpensive home upgrade can make almost any feature of your home look brand-new. If you have some carpentry know-how you’ll probably be able to tackle cutting and hanging crown molding yourself. However, crown molding can be tricky, so it’s a good idea to call in reinforcements if you’re a beginning DIYer. The devil is in the details. Whatever big projects you’re planning for your renovation, just remember that small, easy home upgrades can also make a major difference in your remodel. What’s on your renovation wish-list? Let us know in the comments. 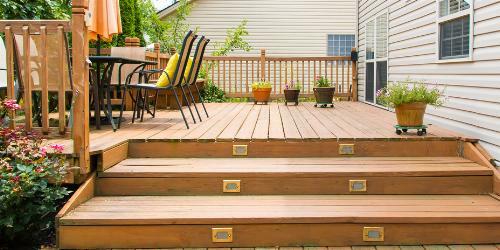 A well-maintained deck can be the focal point of your backyard. But if your wood deck is looking a little worse-for-wear, it may be time to tear it down.